Metropolitan Planning Organizations (MPOs) were created by the United States Department of Transportation to ensure that existing and future expenditures for transportation projects and program were based on a continuing, cooperative, and comprehensive planning process. 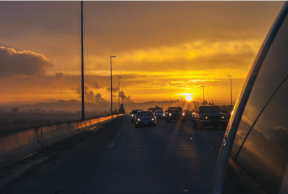 The Frontier Metropolitan Planning Organization (FMPO) is the way for the River Valley to take an active part in the future of your region’s transportation framework. Transportation planning is a cooperative process designed to encourage involvement by all users of the system, such as the business community, community groups, pedestrian & bicycle advocates, environmental organizations, the traveling public, freight operators, and the general public, through a public participation process conducted by the FMPO. Agenda packets for the Frontier Metropolitan Planning Organization (FMPO) Policy Board and Technical Committee meetings can be found on the MEETINGS & EVENTS tab. All meetings are open to the public. We encourage participation especially during our long-range plan update which is currently underway. The long-range plan, or Metropolitan Transportation Plan (MTP) (23 CFR 450.322), is our 20-year fiscally constrained multi-modal transportation plan for the metropolitan planning area (MPA).